Riga is the capital of one of the Baltic States, Latvia. Mysterious and fascinating to many travellers coming from Europe itself, North America, Oceania, and other parts of the world. Many wonder how expensive it is to travel around Europe. What many don't know is that there are parts of Europe that are affordable, full of history, and of course, stunning just as many other corners of this continent. Latvia is super affordable compared to central, north, and south of Europe. I've personally lived in Vilnius, Lithuania, another Baltic State and was very amused by how budget-friendly it was. I also lived and travelled in Denmark, which was super expensive. Did I also mention that it is located right on the Baltic Sea? 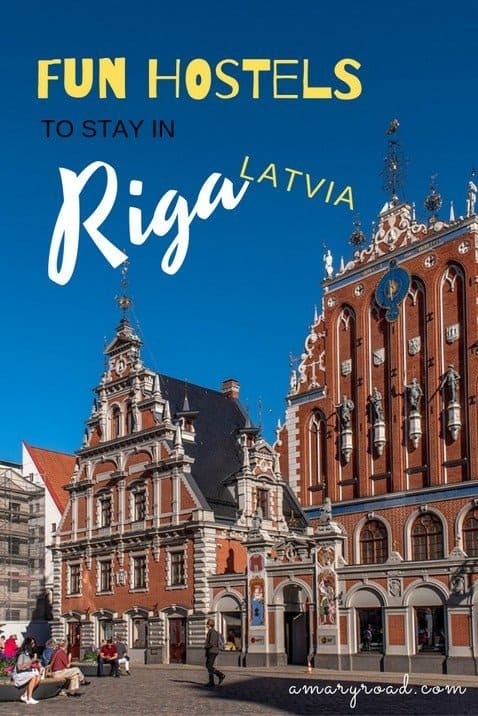 If you are heading to Riga and planning to travel on a budget, this article will show you the best hostels in Riga, from party hostels, cheap hostels, and of course, to help you decide which one to stay depending on your preference. REMEMBER: Hostels listed here are all equipped with working common kitchen where you can store your food and cook for yourself. Most of these hostels offer a private room as well. When it comes to the party, Riga will not let you down. From affordable beers and hard liquors, hip and cool bars, and awesome music, there is a place for any party lover. These party hostels in Riga hold parties in the hostels and also take the guests to a fun and all night long pub crawls in the city. However, if you have been in Southeast Asia and stayed in party hostels there, it might not be as crazy as that. Party hostels in Europe follow more strict rules, which restrain them from making noise after certain hours of the day or night. Through its name, you can already feel the vibe of crazy parties from any day of the week. 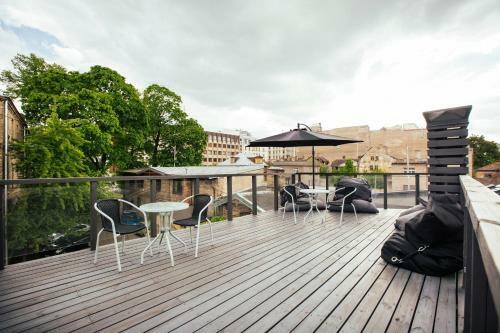 Not only it's located perfectly right in the heart of the Old Town, but this hostel also hold happy hours and epic pub crawls that will make your visit to Riga memorable. 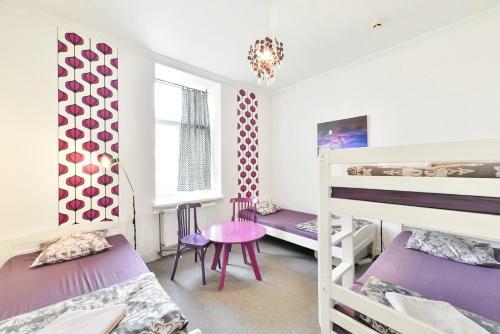 Just by reading its description and name - this hostel is not the place to have a quiet time and read a book on the corner. Riga Old Town Hostel & Backpackers Pub encourage all its guests to socialise and meet co-backpackers and more or less have a beer together. If you survive the pre-game drinking, next to it is to hit the Old Town and around the area for popular and coolest bars. This section is not the only driven by the cheapest dorm bed price, I also considered its reviews (must have a decent number of reviews and good ratings), I also made sure that these hostels are still well located. You can find a hostel that is as cheap as $5, however, it's not in the Old Town and it doesn't have the most encouraging reviews and ratings. The best cheapest hostel in Riga, for $7 you will have a bed in a 6-dorm room, there are free tea and coffee 27/4. Right outside the hostel, there are affordable places to eat and convenience stores where you can find a quick snack or food which is only a few minutes walk. It has also thousands of reviews both on Booking.com and HostelWorld. Newly refurbished hostel located in the Old Town, for $7 a bed in a 10-mixed dorm room with a comfortable and clean area, plus a continental breakfast is included, there is nothing better deal than Yellow Hostel Central. The shops are only a few minute walk, so are the public transportation. For only $7, a comfortable bed in a 10-bedroom dorm room and a free cancellation if you book at Riga Hostel. It is located on the 4th floor which is still PWD friendly since there is a service lift to take. The kitchen facility is amazing too, there is enough space for everyone to store their food and cook for themselves. If you don't mind to be 1.4 kms from the Old Town, Amelienhof is not a bad choice. For $5, you get a dorm bed in an old but exquisite building. They also have a terrace/garden to enjoy breakfast on a sunny morning. The reviews on Booking.com is pretty good although this hostel didn't charm the HostelWorld users for its one sharing bathroom for 14 people. Still, you get what you pay for. Many travellers like me rely on reviews from the trusted platforms when deciding where to stay, especially if we are looking for well-located ones, clean hostels, affordable, and of course a place where we can meet people and socialise. This section is all about hostels in Riga that are well or most reviewed. Both number of reviews on Booking.com and HostelWorld will be combined, the total must be at least 1,500 reviews while the rating must be minimum of 14.0 out of 20.0 (added ratings from Booking.com and HostelWorld). Naughty Squirrel Backpackers Hostel is not only popular for being a party hostel. Many guests who have stayed here loved how comfortable their beds are and how well-maintained their bathroom and common areas. Their staffs are also are impeccable, always friendly, happy to help, and gives the best advice and tips. They are also located beautifully in the Old Town or 900 m from the middle of the city. The renovation of Central Hostel gave a total boost, however, even before this, the hostel is already doing an amazing job accommodating thousands of guests. Located within the Old Town, this hostel is still very close to the main attractions, must-sees, and places to eat and drink. The staffs are also well-praised for their services and keeping the hostel and common area tidy. Cinnamon Sally Backpackers is a very cosy place with a very cute common area where guests gather around, share stories, and play music together. The rooms are very spacious with big lockers to put all your stuff. The staffs are very friendly and sociable, they give the best tips and advice about the city itself. The price is not the cheapest, but the comfortable beds, clean common areas, and a great location - it's worth every penny. If you are more into chill vibe hostels, Tree House is the one for you. Located in the Old Town but in a quiet area. For only $9, you get not just a room but a free breakfast too. The rooms are modern, spacious, and well-maintained and cleaned throughout the day. The staffs speak great English, helpful, and always present whenever you need anything. Very close to the public transportation which sometimes can distress those who don't enjoy noise from the busy street. 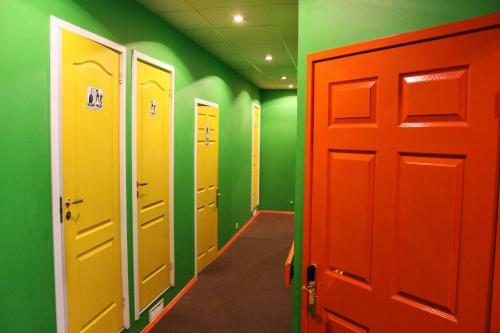 Riga Hostel is located not far from the middle of the city. It's very affordable which is why many guests preferred to stay here. It has everything you need, it's probably not the fanciest hostel you can find in town but it can deliver the basics. For $7, you get a bed in a dorm room and free coffee and tea any time of the day. Wicked Weasel Hostel is Australian owned backpacker's place in Riga. It's pretty laid back and chill, but still, a great place to meet people. The staffs speak great English and are very helpful in whatever question you have. The hostel is clean, with enough space for everyone and well-maintained common areas. This hostel is not only one of the most reviewed hostels in Riga, but it's also very affordable, it's $7 for a dorm bed including a continental breakfast. The rooms also have a balcony view which is pretty sweet. If you are looking to meet other travellers and get great tips from them or do activities around the city together, you can easily meet them here. To give a quick must see during your stay in Riga, here are some that you should not miss on your visit. 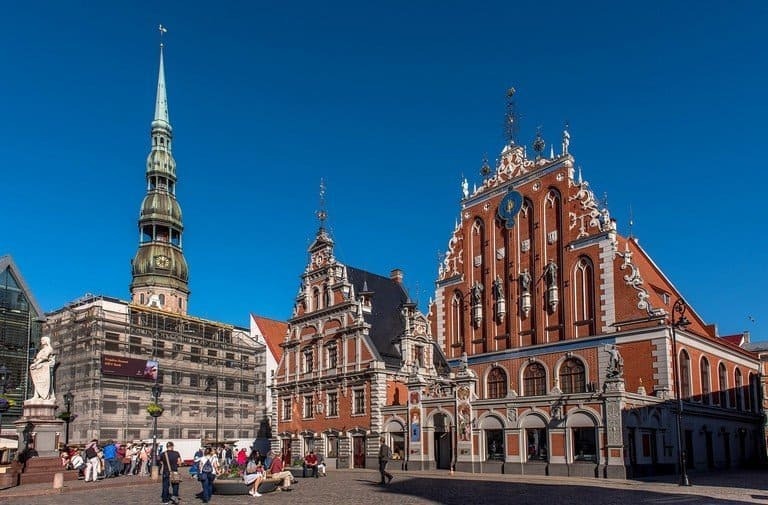 Either you are coming on the weekends or here for a few days, there are plenty of things to do, history to learn, and places to see in the capital of Latvia. On your first full day, why not spend your time wandering around the Old Town, explore Vecriga and pay respect on the Freedom Monument which holds as a symbol of a very historical moment for Latvians. If your hostel in Riga will be at the Old Town, it should be easy to walk and find these two locations. If you like old churches, cathedrals, and medieval alleys, Vecriga is the place. It is also located right at the east side of Daugava River. Go visit the popular churches such as Riga Cathedral and St. Peter's Church. The Freedom of Monument is 42 cm statue which was dedicated to Latvians who lost their lives fighting for the independence between 1918 to 1920. This place is probably not something you see in most places you have been or going. This building was built in the early 14th century, it was built in the memory of unmarried merchants, shipowners, and foreigners lived and worked in Riga. Personally, I don't see something like this very often that is dedicated to foreign nationals. It was opened in 1999. These Three Brothers in Riga are three fascinating houses in the city. The area of these three houses forms or stand as the oldest complex of dwelling houses in Riga. Each house represents the development of dwelling houses. IT was first built in the 15th century, the design shows a Gothic and early Renaissance design while in 1646 to 1746, a change was applied most on the neighbouring houses where you can see a touch of Dutch Mannerism. Exactly what its name was driven, the Powder Tower was one of the defence towers of Riga. In 1937 to 1940, it was reconstructed to be part of the Latvian War Museum. Here are the places to eat in Riga depending on your budget and what you feel like eating during your visit. From affordable places to grab a bite to must-try restaurants, let's make sure that you are not leaving Riga without trying any Latvian food. 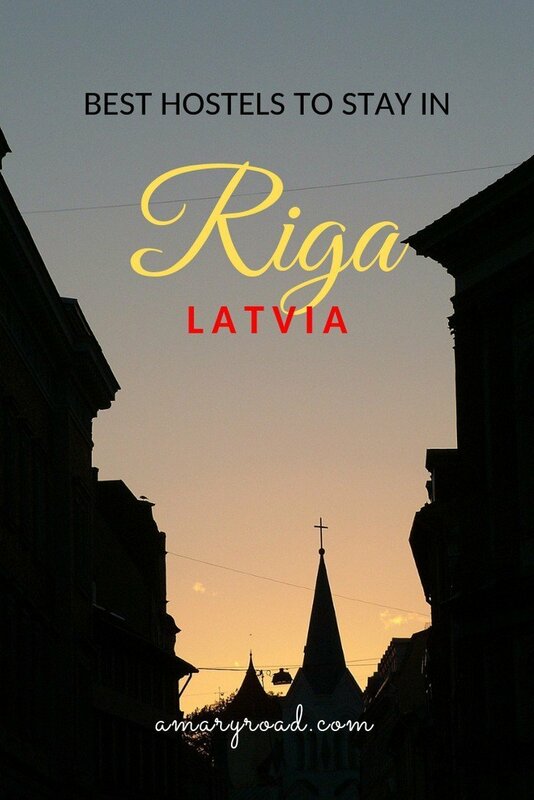 From Riga, you can go to plenty of neighbouring cities in East Europe. Hope on a bus and wake up in another city or even country without spending too much money. For Schengen visa holders, you can go to other 25 Schengen States while to EU citizens, you can go any part of Europe without a visa. I hope you found this best hostels in Riga useful and that I've helped you decided where to stay during your visit here. If you have any concerns, let me know in the comment section below.